With a background in hospitality and a member of several family businesses, Hannah Wrixon spotted an opportunity when it came to running events. The lack of supply for skilled, reliable hospitality staff. From humble beginnings supplying the staff to a local festival, Get the Shifts now provides fully trained hospitality staff on a temporary basis to some of the most prominent festivals and venues in Ireland. As our hospitality sector sees continual growth, and combined with the emergence of the ‘gig economy’, Get the Shifts hits the spot for both event managers and workers looking for well paid and organised temporary work. Diane and her team provide us with great guidance and drive. They genuinely share the passion for our success. Critically all the staff employed by the company are trained, interviewed and are part of a team – the team ‘Superstars’. 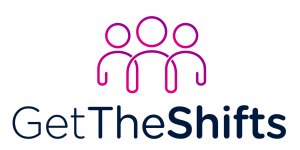 Get the Shifts is a multi award winning temp staffing agency for the hospitality sector. If you have the task of managing events and from time to time need additional hospitality staff, check out Get The Shifts.